Discover Soho’s hottest destination, The Perception. Soak in trailblazing interiors, bar-raising cocktails and disruptive menus from London’s hottest chefs. The lines are blurred and the party doesn’t stop. Enjoy epicurean excellence, amplified. 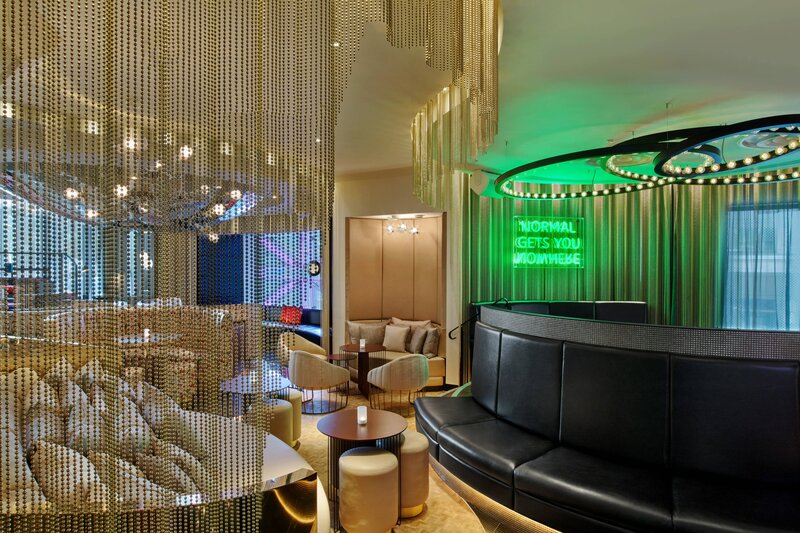 At W London - Leicester Square, we offer bold cuisine and custom cocktails. Visit anytime. Savour inspired bites from our evolving W Dining Series, championed by some of London’s most disruptive chefs and gastro pioneers. Sip an innovative cocktail amid the daring interior of The Perception Bar, Soho’s hottest new destination. Recharge. Make yourself at home. Our 24-hour in-room dining service brings our gourmet offerings to your doorstep. Kick -off in style with our fresh buffet of indulgent breakfast options – perfectly chosen to energise and fuel your day. Having trouble getting out of your cosy bed or just want to snuggle up with scrumptious food in your room? We&apos;ve got you covered.